As we’ve mentioned over the last few months, this season will be the last for PJ and myself (Melle) as organizers. It’s been a great and enlightening four years, but it’s time to pass the torch. We want to send along our thanks to everyone who’s come out to events, agreed to speak, sponsored, and generally helped us grow. We’ve had Dinners with over 50 people present, and we have a mailing list now of over 150. Who knows what the future will bring! 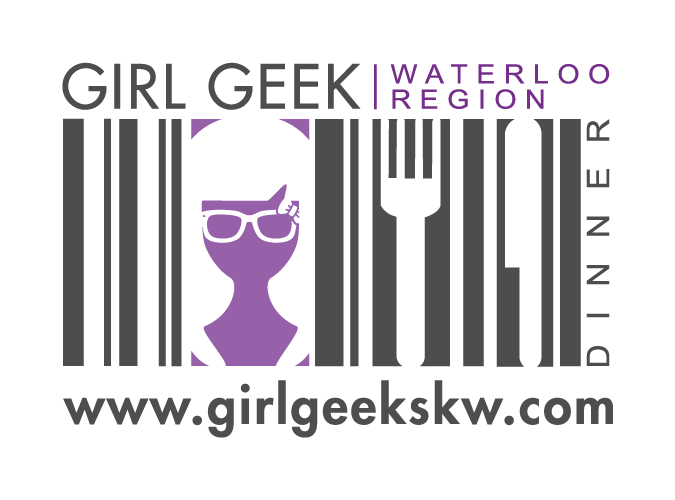 We’re pretty jazzed about handing Girl Geek Dinners over to some smart, inquisitive ladies. New blood is important to organizations to keep things interesting, and having younger folks in charge who’ll be bringing new flavours of geekery to the Dinners will be awesome for us all. Tina and Aleena have already been working with various local groups on “synergies” as well, so you can be sure you’ll continue to be informed of upcoming events of nerdly or geeky interest, and we’ll be working together on some things. With Nerd Night, Year of Code Waterloo Region, and a gazillion other groups and events, the geeks in this town have never had more fantastic social options in learning, entertainment, and the arts. 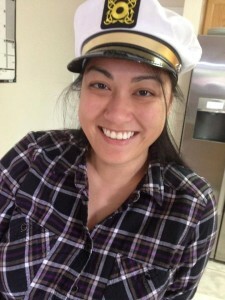 My name is Tina Nguyen and I am one of the new main organizers of Girl Geek Dinners, Waterloo Region (GGDWR). I first heard of GGDWR in 2012 and attended the event at the Communitech Hub. Ever since then, I have been keeping tabs on them and when I was pinged by a friend to join the group, I immediately stepped up. This is one of the most active Women in STEM (Science, Technology, Engineer, Mathematics) groups, compared to others in this Region and I cannot let that disappear. My main educational specialty is in eHealth / Health Informatics and I would like to bring that forth into this group. Topics that are of interest to me are: Start-ups, Artificial Intelligence, Wearable Tech, Electronic Medical Records, Public Health, Community Health and Province/Nation-wide Health Technology Initiatives. Also, I have a confession: I am a true geek. You can find me gushing over Spider-man, Sherlock Holmes, various gaming systems, cartoons, etc. Looking forward to seeing how this group could grow! Feel free to drop me a line on how you could get involved via Twitter @tinahvtnguyen :). So thanks again, everyone, and hope to continue to see you out at Dinners! (Which we can now relax and attend just as members.) 🙂 Stay tuned for info about what’s coming up in July!